1. The Club shall be called Havant Athletic Club and shall be affiliated to the AAA of E and to any other Association, which is also affiliated to the National Governing Body that the Management Committee may deem necessary in the interests of the Club. a. To encourage, develop and promote amateur athletics. b. To assist and encourage all members of the Club, of both sexes, from the age of 10, to achieve their full potential in their particular areas of interest and enthusiasm, be they athlete, official, coach, management or supporter. c. To provide coaching for the members and to organise appropriate competition. d. To provide and organise teams to represent the club in championships and leagues and other such competitions as the Club Committee shall decide. 3 The designated Club colours are a white vest with a red diagonal stripe. 4 Full Club membership must be approved by the Management Committee. a. The President Shall be elected by the members at an Annual General Meeting (AGM) on the recommendation of the Management Committee. The President shall serve for a term of three years, and may be re-elected. b. Vice Presidents may be elected by the members at an AGM on the recommendations of the Management Committee for exceptional and meritorious services to the Club. A maximum number of two may be elected in any one year. This is an honorary position with no specific duties or voting rights. An individual who is not a first claim member of another club and is an amateur as defined by the UK athletic Rules. An individual who is a member of another club, who wishes to use the training facilities of this Club or who wishes to compete for this Club in a discipline of athletics for which their first claim club does not cater, in accordance with the UK athletic rules. The admission of Second claim members into Club membership may from time to time be reviewed by the Management Committee who may impose limits on the numbers of such members. Second Claim members shall have no voting rights at any AGM, Extraordinary General Meeting (EGM) or any meeting concerning the future of the Club. One who is invited by the Management Committee to be such in view of their declared intention to assist Havant AC in the promotion of athletics within the Club. Associate Members will not be deemed full members of the Club and will therefore have restricted use of the Club facilities. This membership will be appropriate for parents or friends who wish to support the Club. Associate Members shall hold no voting rights unless elected to the Management Committee at an AGM/EGM. Family Membership shall cover a family of up to two adults and those of their children (or of whom either is a guardian) who are in full time education. Separate membership forms are to be completed by each family member. Each individual member of the family shall be accorded full membership subject to First Claim status. Nominations must be submitted to the Management Committee in writing by a member, stating the reasons for nomination and must be supported by the signatures of five other members. The Management Committee shall consider all nominations requiring a 90% vote of the Committee for approval and presentation at the AGM. A record of life members will be maintained. Any member gaining selection to a Senior Great Britain Team or other Senior National team, competing under UK athletic rules, shall become a Life Member of the Club, subject to ratification by the Management Committee. A Life Member shall have the same voting rights as a Full Member. Annual Subscription shall be payable on the 1st October of each year. 8 The annual subscription for membership will be subject to revision at an AGM or EGM. a Any member whose subscriptions falls six months in arrears shall render themselves ineligible to compete for the club or to have use of the facilities provided by the Club. b The Management Committee shall have the power to expel any member whose subscription falls six months in arrears, provided a month’s notice in writing shall have been sent to such a member by a registered or recorded delivery letter, addressed to his/her last recorded address, informing him/her of the proposed action of the Management Committee. c The name and address of any person so expelled from the Club shall be sent to the Hon Secretary of the Area Association who shall enter the name in a book (The Black Book) kept suspended from competing in any meeting held under UK athletic rules until the liability causing the expulsion which shall not exceed one year’s subscription shall have been discharged. D The information and name for entry in the Black Book must be accompanied by the Post office receipt for the registered or recorded delivery letter to such a person or the name shall not be entered. The Club has a Child Protection Officer as specified by the Governing Body of England and UK Athletics. 12. 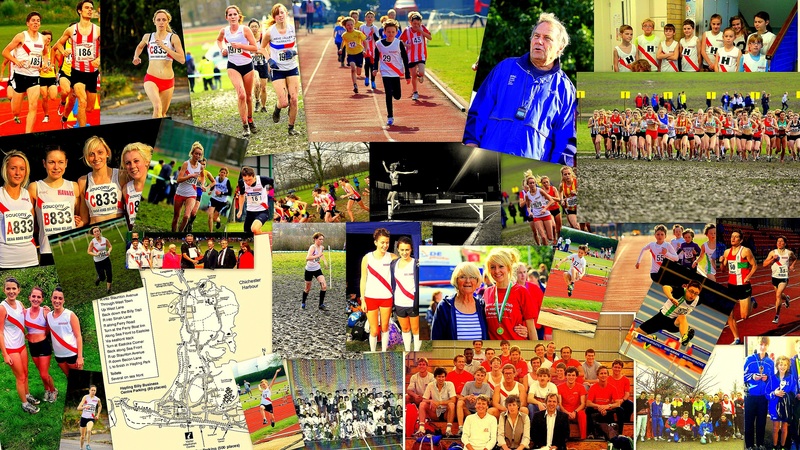 Havant Athletic Club is committed to an Equity Policy for athletics. The club aims to ensure that all people, irrespective of age, gender, disability, race, ethnic origin, creed, colour or sexual orientation have a genuine and equal opportunity to participate in athletics at all levels and in all roles. That is as a participant, coach, administrator or official. 13. The management of the Club shall be vested in a committee, to be known as the Management Committee, whose aim shall be to implement the Constitution. 15. The officers and elected members of the Management Committee are subject to election each year at the AGM. 16. The Management Committee shall have the power to co-opt such individuals as may be necessary to meet special circumstances. 17. The Management Committee is empowered to deal with matters involving the dismissal of a Club member, as well as matters of discipline, misconduct, breach of the rules, regulations and procedures. member is financially indebted to the Club or is still in possession of Club property. 19. All resignations shall be considered by the Management Committee within one calendar month of receipt. The Management Committee may withhold acceptance of the resignation until any liability has been discharged. 20. In giving notice of resignation the member forfeits all interest in the Club funds and property. voting members shall be entitled to submit motions or address a General Meeting. officers and committee members and deal with any specified matter on the agenda. Honorary Auditors shall be appointed at the AGM to audit the Club’s accounts for the year following. Chairman, General Secretary and Treasurer. to all members entitled to vote at the meeting. Such notice shall state the object of the meeting. for that purpose. Notice of such alterations must appear on the agenda for such meting. Club Constitution must be available to all members on request. 31. A resolution to dissolve the Club can only be passed at an AGM or EGM by a two-thirds majority of the qualified voting members in attendance at the meeting. 32. In the event of dissolution and any such funds and effects of the Club remaining after all debts have been met will be donated to the Hampshire County Athletic Association for use in the furtherance of amateur athletics in the county. 33. The Constitution was first adopted at a meting held on 12 November 1989. 34. This Revised Constitution was adopted at the AGM held on 27 November 2011.